Want to be the first to know about the 2018 season? Sign up for the KXT Sun Sets email list! 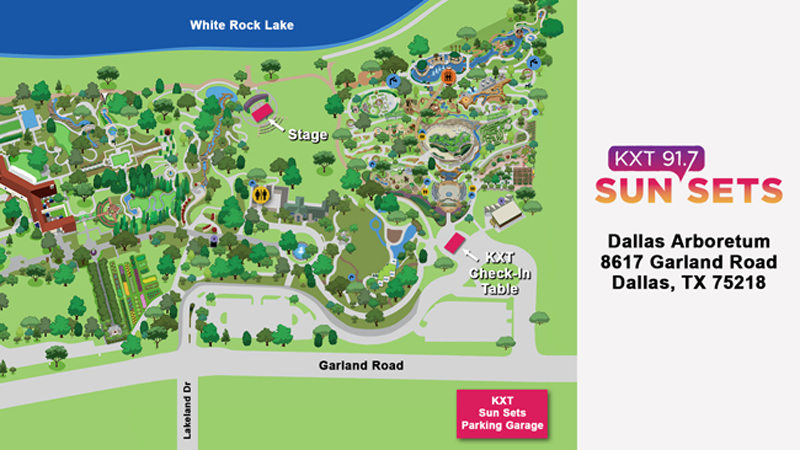 KXT Sun Sets is the signature summer concert series from KXT 91.7 FM. 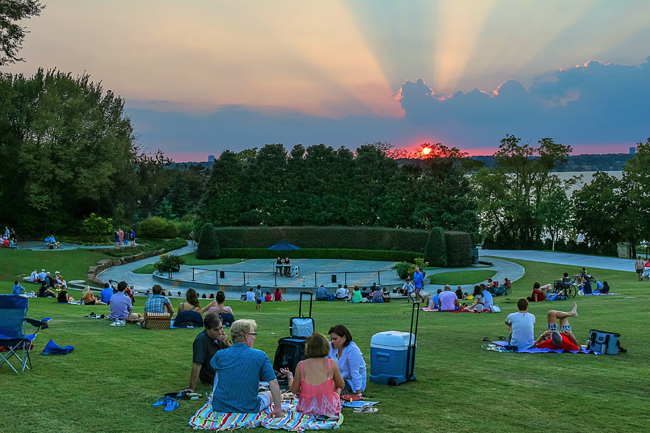 This year, guests of the series can enjoy eight intimate performances from national and local acts — handpicked by the KXT staff — in the gorgeous, lush lawns of the Dallas Arboretum & Botanical Garden. Single-day tickets are now available. Season pass holders are guaranteed admission to all eight shows, a discount of more than $6 per ticket and first access to season passes in 2018. Tickets will be available day of show at doors for $35, cash only, unless otherwise noted. The Dallas Arboretum’s Camp Lawn, 8617 Garland Road, Dallas, Texas, 75218. Parking is free for ticket holders and volunteers at the parking garage on Garland Road, across from the Children’s Garden Entrance (Gate 3.) See map below. This year, KXT Sun Sets is BYOB! Guests are welcome to bring their own picnic baskets, food and drinks. There will be no food or drink sold on-site. Alcoholic beverages are allowed for ages 21 and up. Dallas police will be on hand and will ask anyone who becomes disruptive to exit the venue. Please drink responsibly. Ticket holders can enjoy general admission seating on the soft green grass of the Dallas Arboretum’s Camp Lawn. Guests are welcome to bring lawn chairs and/or blankets, but chairs with more than 4″ in height may be asked to sit at the side or back of the lawn. Children are welcome to attend KXT Sun Sets, but ages 16 and under are required to have an adult with them while in the garden. Children six and under do not require a ticket. The Dallas Arboretum’s photography and video guidelines can be found here. In the event of bad weather, KXT will make every effort to relocate the show to an indoor location. If a venue change does occur, ticket holders will be notified by 3pm on the day of the show via email, KXT’s website and its social media pages. Tickets are non-refundable except in the event of a show cancellation. Strollers, coolers, blankets, lawn chairs, food and drinks are allowed. Hammocks, tents, candles, scooters, skateboards, hoverboards and sporting equipment — such as balls, frisbees and kites — are prohibited by the venue. Motorized scooters are allowed only for the mobility impaired. Pets are not allowed with the exception of licensed assistance animals. Smoking is permitted in the parking lots only. For a full list of the Dallas Arboretum’s etiquette policies, click here.